But each dried head of corn comes with its own leaf which can look a bit untidy initially. Once you start cutting down the dried flower stems to use them in a bouquet, you can see that the leaf is on an outer layer that is easily removed. 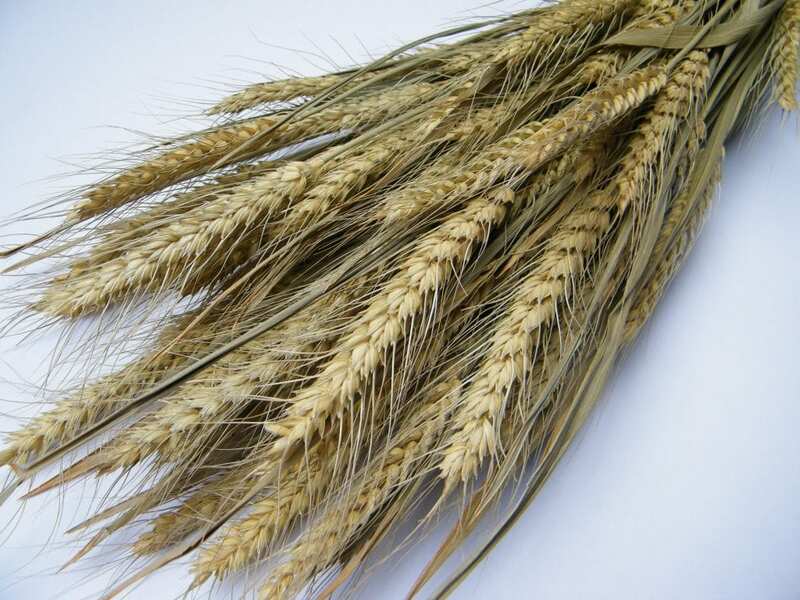 The head of wheat is left without its unattractive neighbour! The dried flower bouquet below was made using bearded wheat treated in this way, mixed with dried lavender flower stems of different lengths for an informal bunch, tied with natural raffia. See my post last month for more about dried flower bouquets.